Tove Alexandersson and William Lind continued the Swedish dominance with another double for Sweden in today’s chasing start. A new chasing start concept was tested in the orienteering World Cup today. The concept consists of a prologue in the morning (short middle distance), followed by a chasing start in the afternoon (long middle distance) were the time differences from the prologue are doubled. The idea is that this leads to exciting races which are “easy to understand for the viewers” – with battles man vs man and woman vs woman. There was no forking in this race. In the women’s race Tove Alexandersson had a big 2:46 minute lead after the prologue, and as excepted it was difficult for the other runners to catch the strongest woman in the field with this large gap. While Alexandersson ran alone in the lead, Ohlsson and Rudnaya kept together throughout the race and battled for second and third place – a battle which Swedish Ohlsson could decide in the sprint from the last control. In the men’s class Johan Runesson had a clear lead of more than a minute ahead of the prologue, but as expected he was caught by several runners, the lead group growing bigger and bigger: First two different groups, and in the end one big group. Towards the end of the race the lead group consisted of 12 runners, with Gustav Bergman and Frederic Tranchand being at the front most of the time. In the end William Lind could decide the sprint from the last control ahead of Gustav Bergman and Frederic Tranchand. The only one falling out of the group was the leader after the prologue, Johan Runesson. Chasing start with prologue: A success? So is chasing start in the World Orienteering Champs what orienteering needs to develop further, and was today’s race a good showcase for it? An open question for the future – but there are obviously different opinions here. See GPS-tracking here and maps below. Did you win a Lucky-voter prize this year? Lucky voters: Check if you won fantastic prizes! As TV spectator I could say that was one of most exciting orienteering event I ever watched. I m talking about men s race. It was exiting more than last WOC relay. If I saw well and understand athletes reactions after the race, Olav wasn t satisfied and happy at all but Gustav simple cannot hide a smile and happy face. Pursuit and mass start (relay and mixed relay) are formats about watching. Individual races with start interval format are about participants. Gustav should win today’s race. Mistake to CP6 shows what the rest were doing. Following him. …Pursuit and mass start (relay and mixed relay) are formats about watching. And I ask: About watching of what? I turned on TV to watch orienteering and not just waiting for decesive sprint to the finish. I as a spectator missed individual orienteering and variety of navigation solutions. And probably many runners missed this challenge too. Mixed relay and forest relay in WOC2018 offered that. This pursuit concept not. It is just one of the many of formats and different experience for elite runners. There were everything that one orienteering race would offer to spectators: difficult and beautiful terrain, good course and no confusing forking for non-orienteers spectators, hunt, different route choiche made by runners, mistakes made by runners under the pression, often changes at leader position, and tight battle at the finish for bunch of elite athletes… As spectator I couldn t looking for more and everythig in just 45-50 minutes. Please re-watch the World Cup Liberec with butterfly, and tell me if the butterfly is “easy to understand for TV normal viewers”. I can tell you, it was not (not even for an orienteer)…. It maybe works well for a commercial break, but no good to have a commercial break just when there is a chance for a split-up of runners…. The swedish men seem to have found their edge a couple of weeks too late. Or just releaved to be out of the murky green valleys of the Baltics? Well, to get this chasing start with prologue to fly I think it has to offer more legs with more decisive routechoices than this one. Ofcourse very exciting with 12 men battling to the end, but is it still orienteering? The pursuit was most of the time nothing than boring. It is not very interesting watching a big group of athletes running in a long queue. What for did they have a map?? And the finish sprint was like a track race. That has not much to do with orientering. Another strange thing: Why were the times changed after the finish? Five runners originally had the same time, and the next were only one second behind. There can also be made a result list in the right order without the “one second each” interval. In other sports is this usual. The given differences are nothing but an illusion! For whom and for what?? Sadly this was the least exciting orienteering race I have witnessed on TV. A group of athletes hugging each other’s backs through most of the race and then battling it out right before the finish line… If I want this I will watch cross country skiing or Tour de France. In my humble opinion Orienteering on TV should showcase the aspects that set orienteering apart from other endurance sports: Differing route choices, individual strategies and orienteering mistakes. There was almost none of that in yesterday’s pursuit. The middle and long distance in the WOC2018 were far more interesting to watch, and the relay was spectacularly exciting, thanks to decisive route choice legs, effective forkings and plenty of mistakes being made, which led to frequent shifts in the lead. First of all, I can’t understand why an experience like this chasing start hurts the “beauty of the sport”. This is just a meeting, not a competition where world titles are in dispute. So what is the problem of having some new experiences? Maybe the orienteering challenge was not that big, but different tactics came into play..
Orienteering is a very unfair sport that only favors a small niche of athletes, the ones who live in (or nearby) countries where the sport is well developed. That’s why my excitement fade away long ago, both as an athlete and competitor; Orienteering top 10 is composed by the same athletes as long as I know (the only exception is the sprint). So, I don’t question those athletes work their asses hard, but the elitism makes the top positions unreachable for anyone outside the circle, and believe me, I know a lot of people tried (well at least, they get a mention on worldofo for doing something unexpected). I’m glad orienteering will never be an olympic sport; sure it is fun to run on the forest and I love it too, but as a fan, it is a predictable sport, with no competition at all. @Luis: This is what some work hard to make into a new WOC discipline. Therefore it is important to evaluate this now. I don’t understand this. I thought the whole point of splitting WOC into forest and urban was to reduce the number of races during the week. I also thought the argument for not reinstating the Long qualifier in forest WOC was that it would add another race. Now it seems people want to create a new discipline that actually includes two additional races, and seems designed to be as exhausting as possible for the athletes. How is this even under consideration? Rather than dilute what makes the sport special, I’d much rather have the Long qualification race reinstated. This would both get rid of the deeply flawed nation ranking system, and allow the start list for the final to be defined by something other than which country can afford to send their runners to all the World Cups. It would also add a bit of the unpredictability that Luis is missing (although I disagree with much of his post, it’s true that most major races are now suffocatingly predictable). I think the chase start in Finland last year worked very well, but not this one. It all comes down to course planning (no realy decisive route choices), choice of terrain (too open and heavy) and also course length (a full long distance would also bring on the element of fatigue towards the end). What we saw now were runners clustering together rather than spreading out. Some sort of forking must be introduced (maybe the Blodslitet format could work). What about asking the TV-spectators who are not orienteeres themselves? Are the TV for the common man or for these already inside the sport? I think we must not underestimate the complexity of orienteering. If this became a WOC-discipline it would devaluate the value of a WOC-title A LOT ! Interesting to read all the comments and thoughts. I believe you are all right. I will not go into the discussion about wether this should be added to or replacing WOC-diciplines. BTW, I was the course setter for this race. “In the second half of the race, I almost did not read the map. It was a big group, and everybody was just following the backs in front of them”. Instead of discussing if this was a good concept or not, why didn’t Magne and others try to read the map and find their own way to the controls instead of just follow the one in front of him? This was most clear in the mens race. The first part was very open and had no really good alternative route choices that could separate the runners other than what was taken. However, the 2nd part was in a different type of terrain and offered some good route choices. The runners didn’t see that there were several options that could work better than running just straight on. There was one runner that took the route choice following the road to the right. But unfortunately he got it wrong in the beginning from start 2 and lost time to the lead. The best route choice from test runs was straight on to the small field “Korset”, and then taking the road to the right. I believe that each one of the leading group could have broken out of the group and reached the 10th control first if he took this route choice. Instead they all just ended up staying in the queue. And the same for the 18th control. Out to the road, passing the arena and into the control from the backside was fastest in my tests. Kudos to Albin Ridefelt who took his own choice from 15 to 16. This drowned during the race, but could have ment more than it did. I believe that this race concept can give a chance for a win to a slightly different type of participants than regular races. The ones that dare to trust themselves, and to break out, trying on his/her own. If just one person in the leading group bothered to check the map for other alternatives than the person in front of him, we would have had an exciting race not just from last control to the finish line, but also out in the forest. Maybe it didn’t end like this now because the majority of the runners didn’t like this concept? Or that they were unfamiliar with it? Or that they just didn’t expect it or see it as a possibility? I don’t know. I would suggest to give it another try. It is hard to make a good chasing start course without forking and with good alternatives that can separate these runners. But I think it’s worth a try. Thank you for your comments and your review. I was indeed disappointing to see that no runners from the leading groups took any of the alternative route choices after the passage. At the same time, this is not quite true as the big group was only formed on this leg. The two groups hade quite different objectives up until they met in the open field. Albin’s attempt was the highlight of the second part of the race. Sadly it did not pay off, but at least we know at least one runner was actively looking for alternative options. 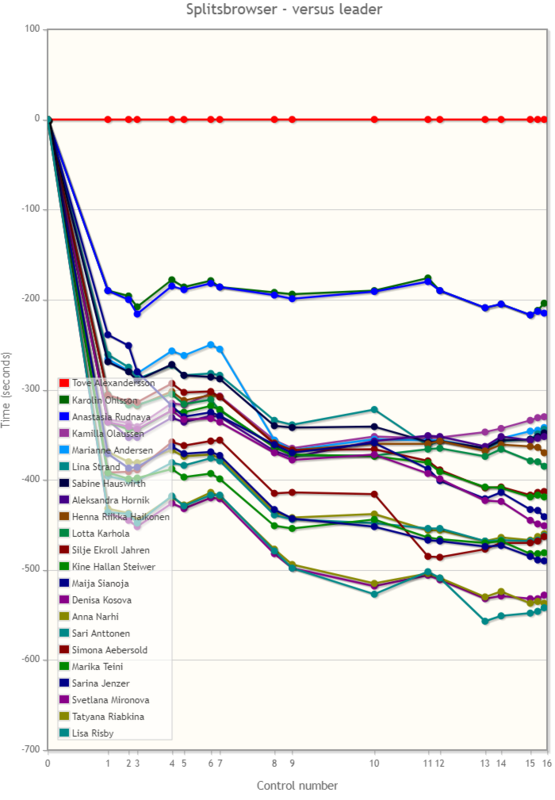 However, I think the group was keeping a very high speed, given that Magne, Matthias, Daniel etc. failed to get into positions for a sprint off, and most of the runners felt/knew that they couldn’t keep the same speed on their own. I believe you’re right in saying that “… this race concept can give a chance for a win to a slightly different type of participants than regular races”, but this is the runner who sticks his map in his pants and just goes for the sprint. He (or she) will not win any other racing format. We like to se the runner that dares to trust him-/herself and try things on his/her own get rewarded. 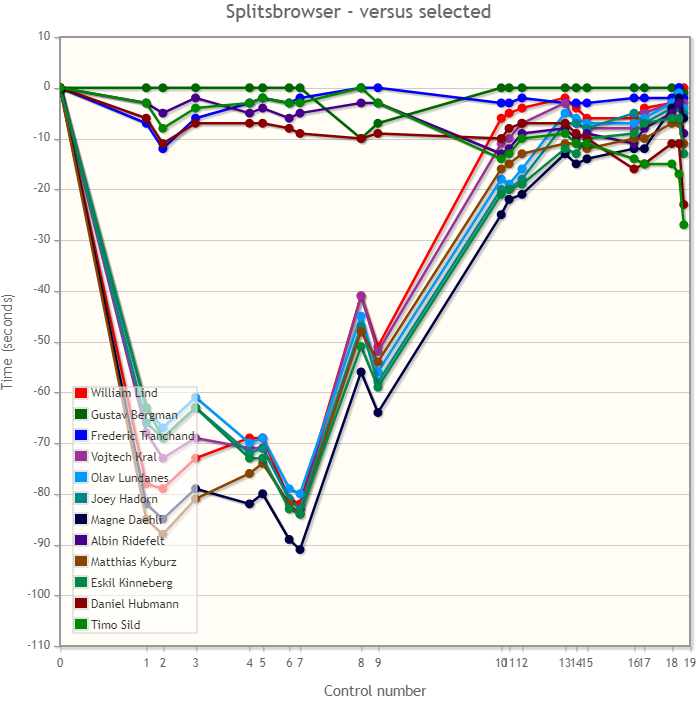 That is why we tend to prefer individual starts with a sufficient starting interval…. Having said that, I do think it is valuable to try different formats, the head on head racing can be exciting for runners as well as spectators but we should be honest to ourselves when assessing what is working and what is not. I think there is ample evidence that “first to finish” races unless being significantly longer, become “mass-finish” races. I must say, the routechoice to the second last is pretty good, and i not even saw it on the gps. But on the otherhand i must also say, if you really try to force them to try something, then 3 routechoices on the hole course are not really enough. For me in that Discipline the chance is just to big, that runners are winning, which never looked at a map, and thats far away from the real orienteering. I watched the jaktstart coverage replayed on NRK. It was really boring to watch. Non-orienteers also do not understand this format, that is a misconception, non-orienteers just ask: “Aren’t they just following each other?” “Don’t people just follow each other?” One issue here might be that a lot of orienteers don’t really speak to non orienteers.. ;).. It’s really patronising to say that people don’t understand time-trial formats!! If IOF want to add another forest discipline to forest WOC I would bring back the short distance. This would, in my opinion, be a much better TV format, short, sweet and exciting. Currently the best WOC discipline to follow, in my opinion, is the sprint relay, because it’s all over within an hour and short could be similar if just 20 qualify for the final or they just televise the last 20 starters. 40 min start block and 20 minutes of fast forest orienteering. Point-to-point. No arena passages. Minimize the orienteers-running-across-fields-following-tapes parts. It’s way more impressive and cool to see them running and navigating in the terrain, sets orienteering apart from other sports, creates beautiful TV and even inspires people to go out and run in nature. 1. Running without forking (mass-starts/chasing starts) in the forest is not a good way to develop orienteering. Own route choice in 99% lose to the running with the pack and keeping high speed. 2. Sprint without forking (mass-starts/chasing starts) is quite OK in case of terrain with many route choices. The pursuit was added to the World Cup program rather late. I’m sure it would be possible to find terrain with more route choices and also route choices closer to the finish. I was surprised, and a little disappointed, that so few runners dared to take theri own route choices. Possibly the runners that would gain most from the longer “running” route choices were also the ones least confident that they would be able to sustain a few seconds lead in Norwegian terrain. But as Magne Dæhli showed in the relay it is possible. The pursuit was also to a large extent decided by the prologue. Many pre-race favourites missed to much. They had to spend too much energy to catch up with the leaders. It is clear that the runners need to become familiar with the concept before a full evaluation can be done. To me it seems like when the 50 k cross country skiing started with mass start. Everybody were moving slowly for 48 k and beatin in the finish sprint by Nordtug. After a handful of races some started to move early and the sprinters could not follow. Good point with the 50 k crosscountry mass start skiing comparison. 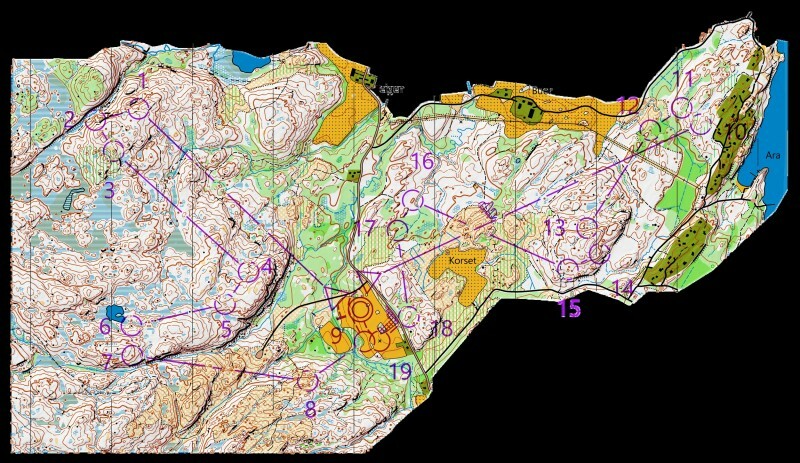 Somebody will eventually have to praise the new orienteering pursuit tryouts with a Johan Olsson moment to keep the interest for the new idea alive. To me, the long chain of runners following each other was no surprise, and it shouldn’t have been to the organizer. Due to the terrain characteristics with soft underground in the upper parts, good visibility in most of the terrain and little chances to create any decisive route choices in order to give the runners a fair chance to get away from the pack. These arguments were pointed out to the organizer over a year ago, and they were advised to use the start interval format (not at least because the start interval format was scheduled to be used at WOC19). I’m not against the chasing start format, but I want fair competitions and competitions primarily created for the athletes. It really makes me sad when TV / media are prioritized over the runners. 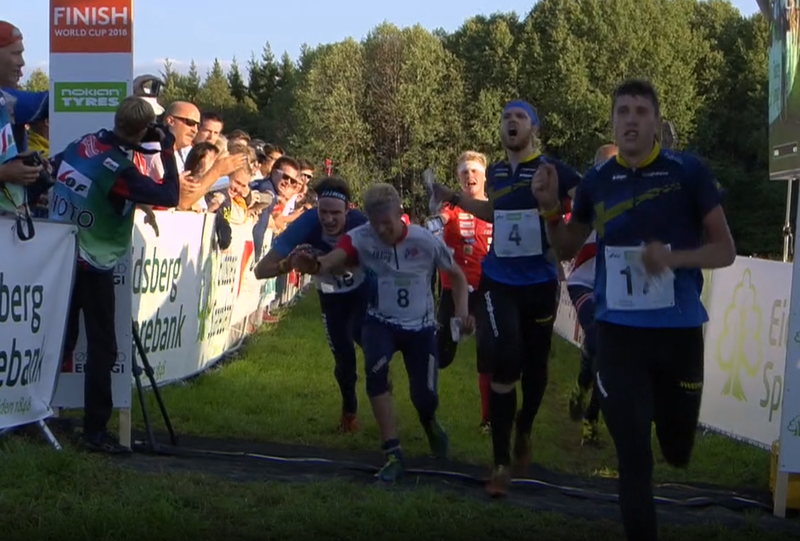 There are several good examples of TV broadcasts from orienteering events the last years that really show the essence and excitement of the orienteering sport. Let’s keep the important values! 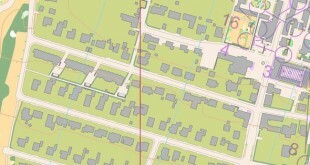 As responsible for the mapping- and course setting group WOC 2019 I would certainly have preferred an ordinary middle distance race. The pre-WOC would then have tested the formats we shall have next year. However, the formats for the World Cup is decided by IOF, as organiser you have to do your best to get it to work in your terrain. I found reading Lina Strands account of the pursuit very interesting. In the field from no 4 and onwards the format certainly seems to have worked well. However, the time differences betwween the first few was so large that the contention for the medals never became interesting. Check the date of the Council Meeting! It was before I was appointed Event Manager and before there was established an organiser. That means, what refered to as “organiser of world cup” here means the board of WOC2019 and the board in NOF. They took the decision although the recommendation from people like Sandvik and Myrvold was the opposite. I am happy that woc2019 do not have chase start on the program. I was test-running the chasing start course just before the race, watched it in the arena and saw the runners immediately after their finish (I was taking off their gpses). In my opinion the course was as good as it could be for this kind of format and the area. There were several interesting route choice legs in the second half of the course. A forking (butterfly) would hardly help to split the group, it would only limit the possibility of creating route choices and also would make it confusing for people watching it. It was not surprising that the leading group of men did not split. To quit a group containing several world champions, in hope to gain enough time on a different route choice and also to be able to stay ahead for the rest of the course, in this rather heavy terrain.. The chances of success were very small (while the risk of losing time was big) and the runners were aware of it. If you have any example from the history of forest chasing start (and there have been a few similar races already), please refresh my memory. This race could have been won without any map-reading and for me this is not orienteering anymore. As a training, in a smaller group, it is interesting for runners to compare their strengths “head to head” on an unforked course every now and then, but turning this into WOC-discipline, please do not. What might have contributed to the lack of own initiatives during the chasing start is fatigue. With the LD race on Friday, early morning on Saturday, prologue, long travel to the arena of the chasing start… For many runners the pursuit race was just a question of survival and their only wish was to get to the finish as fast as possible. Very few seemed to enjoy it. 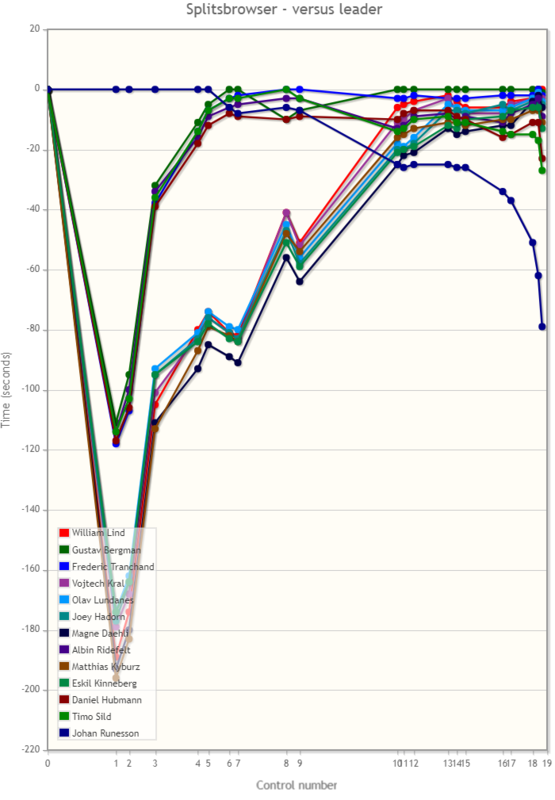 With the early relay race on Sunday morning (start of women at 9:15) in addition to Friday and Saturday, this was the toughest world cup round ever. And WOC ended only 3 weeks ago. The people who have approved this programme do not care about the athletes and their health. Of course, orienteering is a tough sport, and it should remain, but this combination of races, not enough sleep and a lot of travel in between, that is too much. If there was a need to test the chasing start format, the LD should have been on Thursday and not Friday. As a spectator, I found it rather boring. The thrill of the sprint finish lasted only couple of seconds. The rest was rather predictable. And Karel Jonak, responsible for the TV production, told me after the race that he did “not have enough story to tell”. 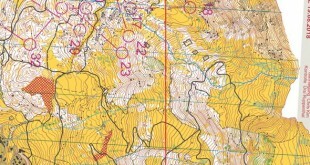 – map reading slows down the runners (how much depends on the terrain) so keeping the pace of the pack is easier if you don’t have to read the map. Personally, I think it’s more difficult for an orienteerer to break away from the peloton than it is for a cylclist. – when the terrain is open, it’s easier to get sight of each other and thus the runners will cluster together. Conclusion. If a chase start at this level to work, we need forking to force the runners to read the map. I don’t think a butterfl yor a Phi-fork would work. I think the Blodslitet-format is worth trying. 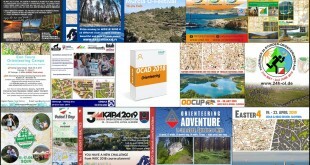 Kacmaz and Gardonyi: Orienteering Achievement of 2018!